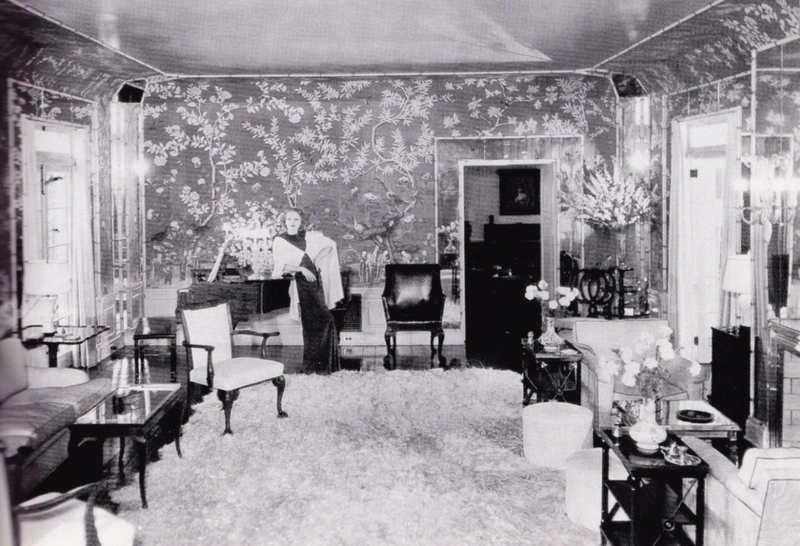 Elsie de Wolfe (1865-1950) is said to be the original interior designer. She was the first person to gain wide public attention and praise for interior design and has become known as the most famous decorator of the early 20th century. As someone who has always been interested in the power that curated interiors have to inspire our lives I was excited to learn more about her. I first heard of de Wolfe when I saw the stunning Fall 2016 lookbook of fashion brand, CO (see examples below) and found out that the photoshoot took place in a home that she designed. When designing, de Wolfe played with mirrors and trompe-l'oeil effects to expand spaces, and chinoiserie (see examples below) and white + green color stories to bring the garden vibe inside. I feel a kinship with her as she and I both are inspired by the natrual world, art, literature, music, theater and fashion. 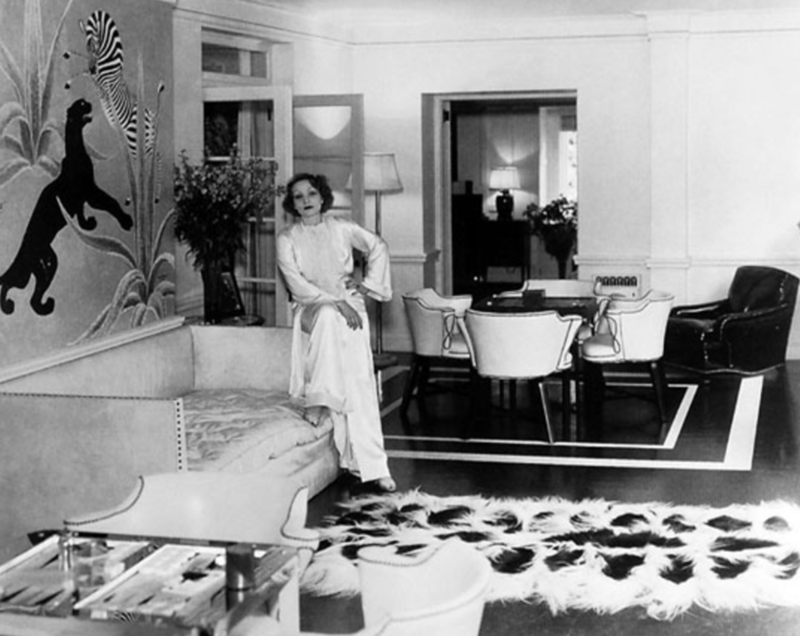 v PHOTOGRAPHS of Marlene Dietrich in the 1926 Spanish Revival Beverly Hills home that she rented from Countess Dorothy di Frasso. The interiors had been designed by Elsie de Wolfe around 1936. This is the house in which CO shot their lookbook.